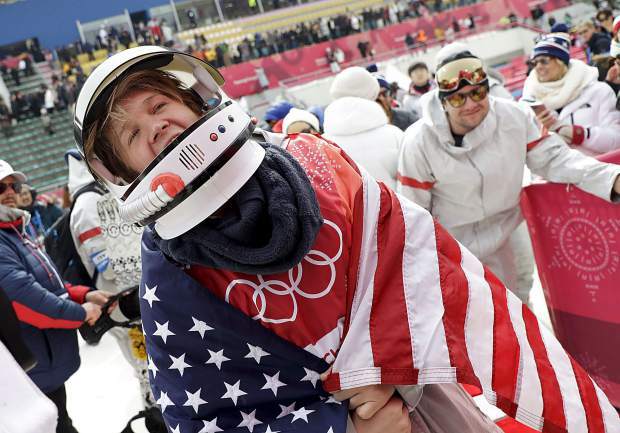 Silverthorne's Kyle Mack celebrates after winning the silver medal in the men's big air snowboard competition at the 2018 Winter Olympics in Pyeongchang, South Korea, on Saturday, Feb. 24. Mack didn’t even land the trick — officially called a “front-side double 1440 Bloody Dracula” in snowboard lingo — in practice. But the 20-year-old West Bloomfield, Michigan, native landed it clean when it counted, for a score of 86.75, taking the silver Saturday, Feb. 24, in the first men’s snowboarding big air competition at an Olympics.